Scott Morrison’s love affair with Japanese denim is a common thread across all of his brands—past and present. 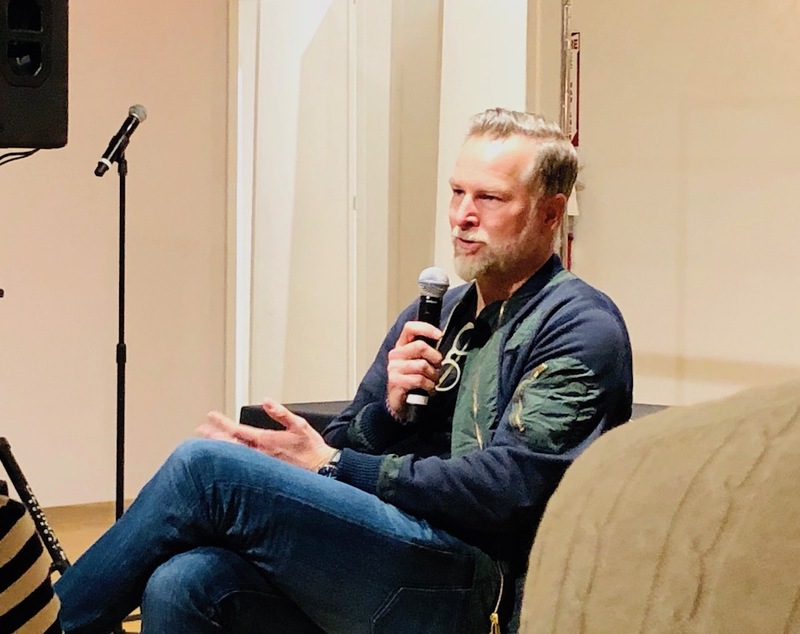 The 3×1 founder shared his affinity for the country’s denim mills Thursday at Japan Textile Salon in New York City Thursday. Prior to launching his own premium labels Morrison cut his teeth in denim at Mudd Jeans, the 1990s volume-driven women’s brand that boasted jeans and a belt for $19.99 at retail. While the product was strong for the price point, it wasn’t the business model Morrison strove to duplicate for his first brand, Paper Denim & Cloth. At the time, Paper Denim & Cloth was using American piece goods or Italian piece goods from Candiani. That pair of Replay jeans led Morrison to Andrew Olah, who at the time was the only U.S. rep for the Japanese denim mill, Kurabo. Soon, 26-year-old Morrison was making his first trip to Japan. Japanese denim has since become an ingredient in Morrison’s work. Kurabo became a go-to, but over 20 years Morrison estimates that he’s tapped 18 to 20 different mills. “The thing that still stands the test of time is the love affair of craftsmanship, quality and the artisanal nature of the products that we get from Japan,” he said. Japan’s passion and enthusiasm for denim has left a lasting mark on Morrison’s brands. Wabi-sabi, a Japanese aesthetic based on the beauty of imperfections, was a source of inspiration for Morrison when he launched his second brand, Earnest Sewn. “Imperfect stitching, imperfect elements… we tried to incorporate those ideas into the product we were making. Thus, extending my love affair with Japan even more,” Morrison said. And he aims to recreate a sense of discovery for consumers—a feeling he experiences during this sourcing trips in Japan—at his New York City 3×1 store. With 70 rolls of denim hanging from the walls, a 22-person factory in the middle of the store and a range of unique trims, the brand offers consumers the opportunity to order custom and bespoke denim pieces. It was an idea, Morrison said, that was inspired by Nike’s customization platform, Nike ID. “We wanted to showcase the fabrics and the materials, walk customers through the process of making something totally unique for themselves,” he said. For 3×1, Morrison said he typically looks to Japan for unique products that can’t be found anywhere else in the world, or fabrics that are heritage inspired and authentic to denim’s roots.